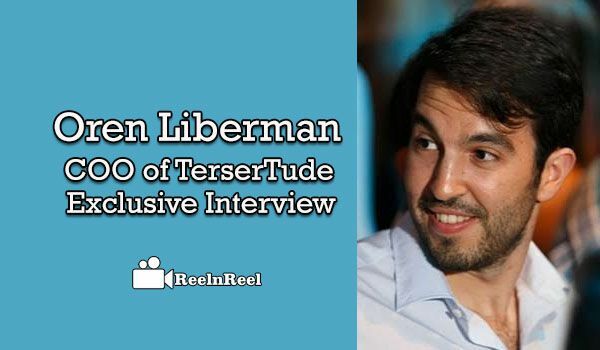 Here is the Exclusive Interview with “Oren Liberman” – COO of TerserTude. Tell us something about your company TerserTude ? TerserTude is video focused network that helps publishers make more with their virtual assets. Our expertise is in the algorithms we are developing that maximises the publisher’s inventory and optimise to best match the ad slot to the advertiser’s needs. The company was founded in 2014 and never stopped growing ever since. Recently the company was acquired by Somoto (TASE:SMTO), a move that will enable us to develop even more! Also, we have a great team, and I think it’s the best company to be working. Why is Video the future of Advertising? The unique effect of video advertising is that it is by far more engaging than banner ads or native ads. In our perspective, a user would much rather watch a funny video ad for 15 seconds than to click on a banner and fill information about himself. Also, the big brands are starting to understand where their audience is. What to expect shortly about Video Advertising? We believe more budgets will shift from traditional TV to the internet space. There are a few reasons for that the cost is lower; reach is higher on the Internet. One can control the audience he is looking for, and it is much more measurable than the traditional ways of advertising (TV, radio, print etc…). Tell us something about Programmatic Video? In my perspective, programmatic video advertising creates first competition and better quality inventory. As advertisers can quickly shift their budgets to the best catalogue with most competitive prices, companies can immediately show their added value to the market. Tell us about Programmatic video with respect to Israel Market? As we have a lot of tech companies in Israel, one can find a lot of solutions that helps navigate the programmatic video space. However, you need to remember that Israel is a small and pretty consolidated market, and most of the programmatic video in Israel serves the leading global market. Someone once told me, that around 75% of the US online traffic is coming from Israeli companies. Upcoming Video Trends in Israel? I think that VR and 360 videos will make an impact over the coming years. With that, you can expect more companies to grow here that will focus on the technology side of the video. Thank you “Oren Liberman” for sharing your valuable inputs with our Reelnreel.com users.